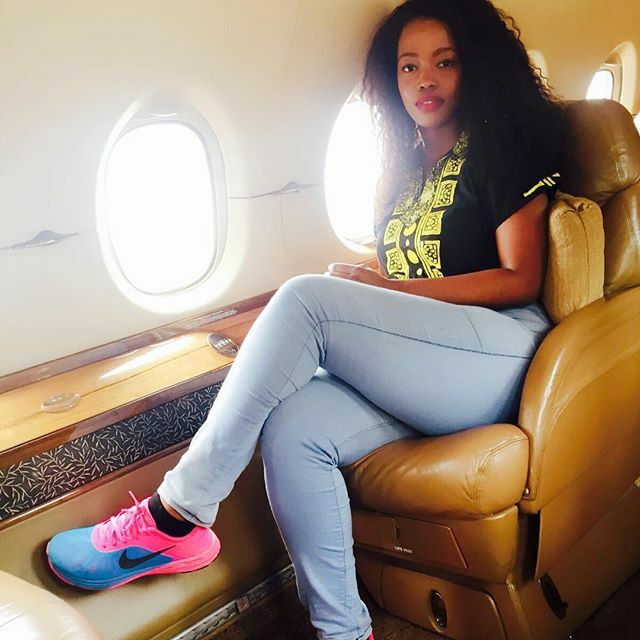 Barely a month after socialite Corazon Kwamboka announced that she was single after parting ways with her boyfriend of one year, she has denied that she’s missing him. 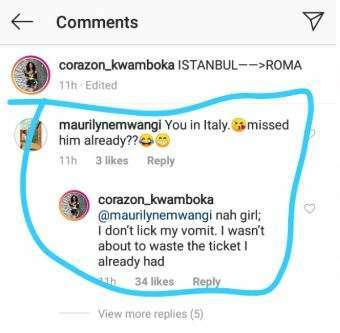 On Instagram fans asked Kwamboka whether she was in Italy because she has missed him already. Kwamboka however, gave the fan a ruthless reply to show that she doesn’t miss him at all. She explained that she had already purchased the ticket for her trip to Rome and she would not cancel her trip. Just two weeks ago, the socialite confessed how she loved the man but had to break up with him because of the distance.